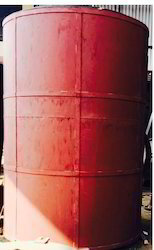 Manufacturer of a wide range of products which include pot cooling tower, pot storage tower and vessel storage tower. We introduce to you a Pot Cooling Tower for your furnace and pot resting shell. This tower in insulated with special materials and techniques. It is very light weight and less space oriented. It is used after soaking is complete and when temperature is heading downwards. It is specially designed by keeping in mind the proper heat treatment process. The tower is beneficial for productivity and energy saving for heat treatment cycles. This tower can be made on a customized basis. We introduce to you a Pot Storage Tower for your furnace and pot resting shell. This tower in insulated with special materials and techniques. It is very light weight and less space oriented. It is used after soaking is complete and when temperature is heading downwards. It is specially designed by keeping in mind the proper heat treatment process. The tower is beneficial for productivity and energy saving for heat treatment cycles. This tower can be made on a customized basis. We introduce to you a Vessel Storage Tower for your furnace and pot resting shell. This tower in insulated with special materials and techniques. It is very light weight and less space oriented. It is used after soaking is complete and when temperature is heading downwards. It is specially designed by keeping in mind the proper heat treatment process. The tower is beneficial for productivity and energy saving for heat treatment cycles. This tower can be made on a customized basis.